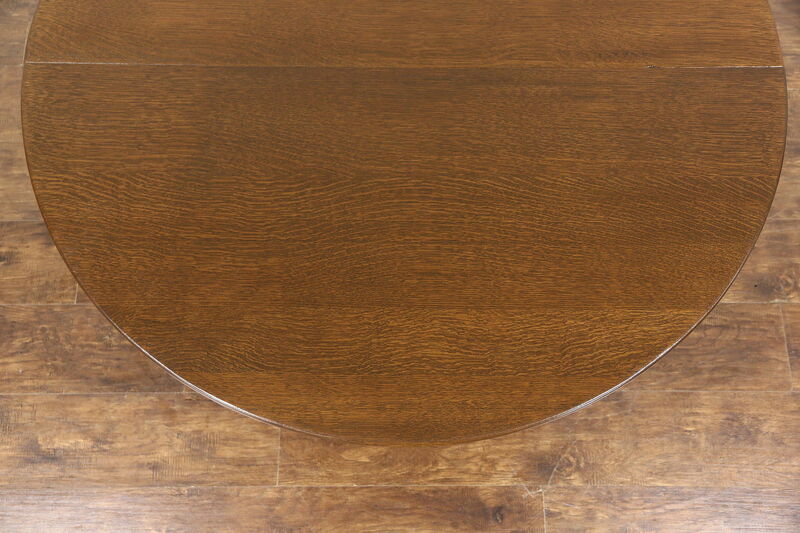 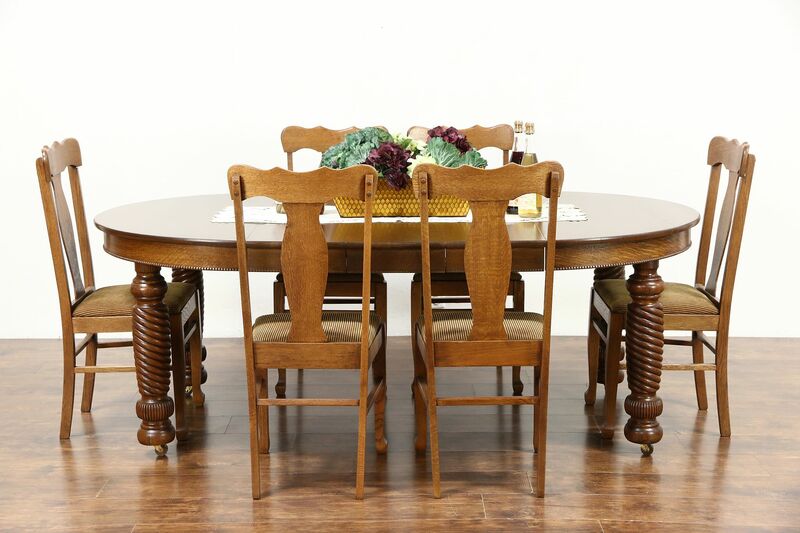 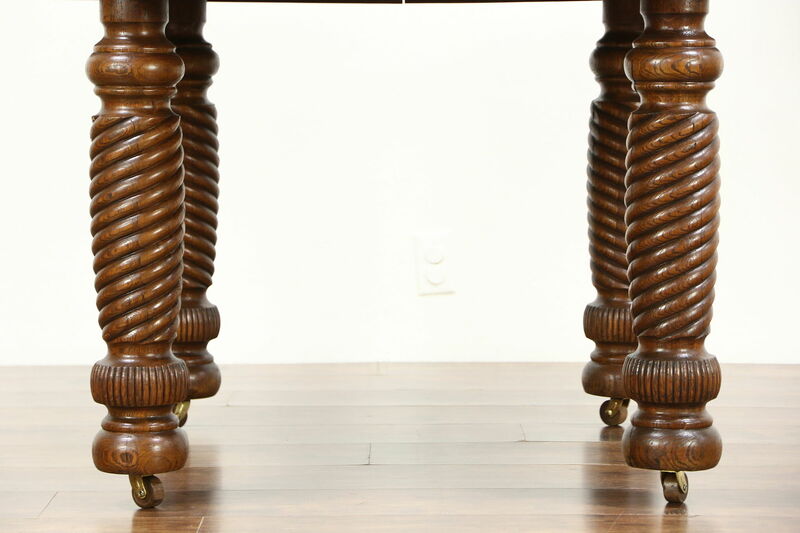 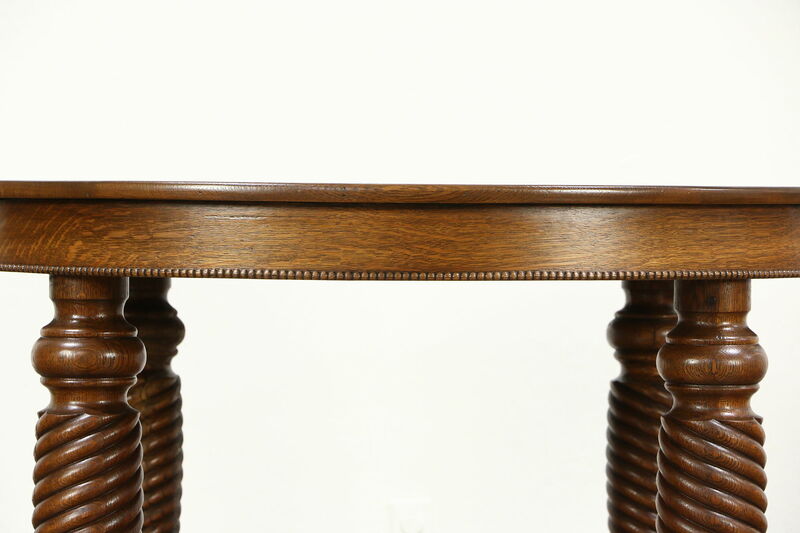 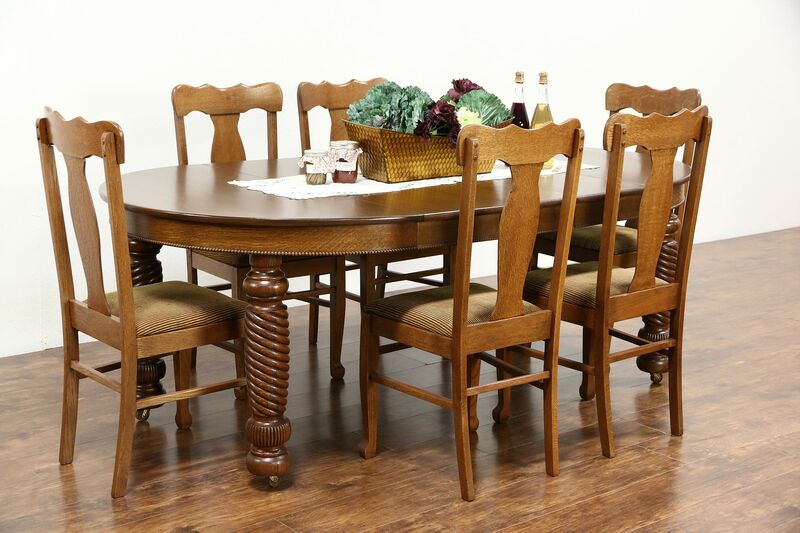 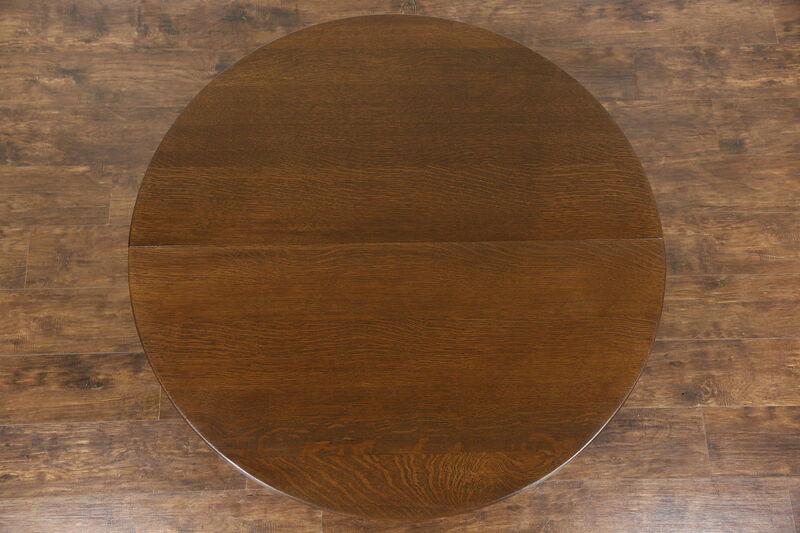 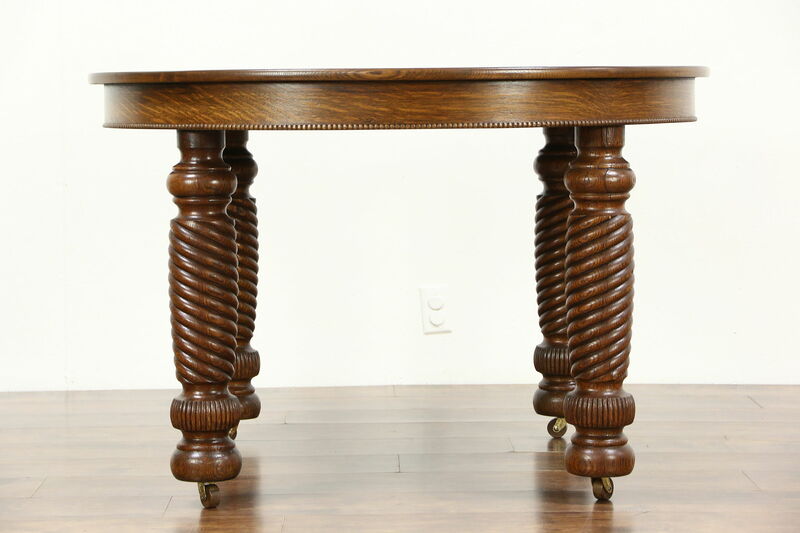 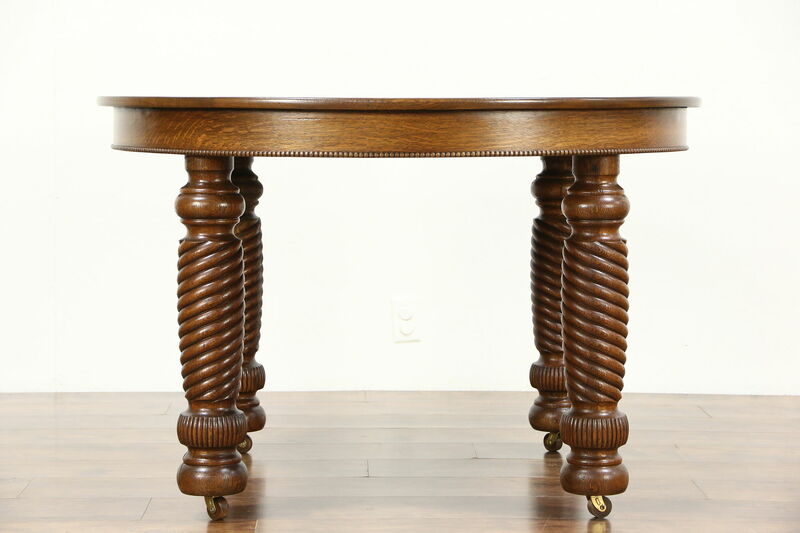 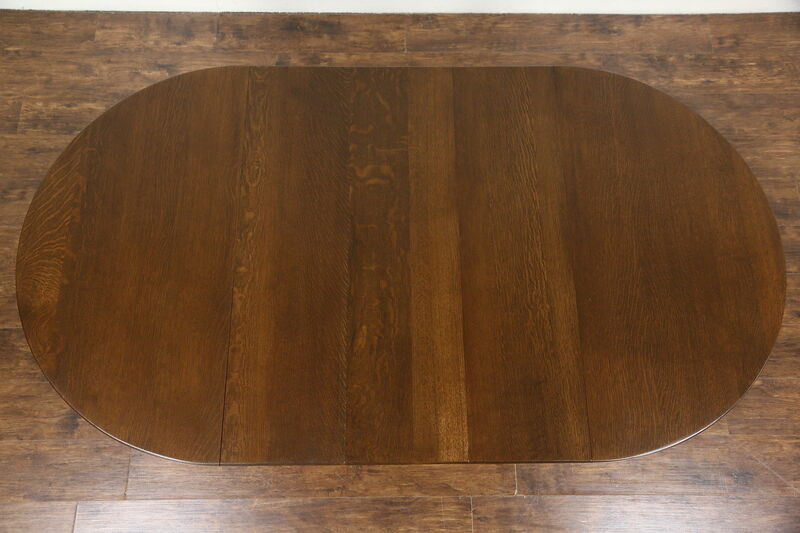 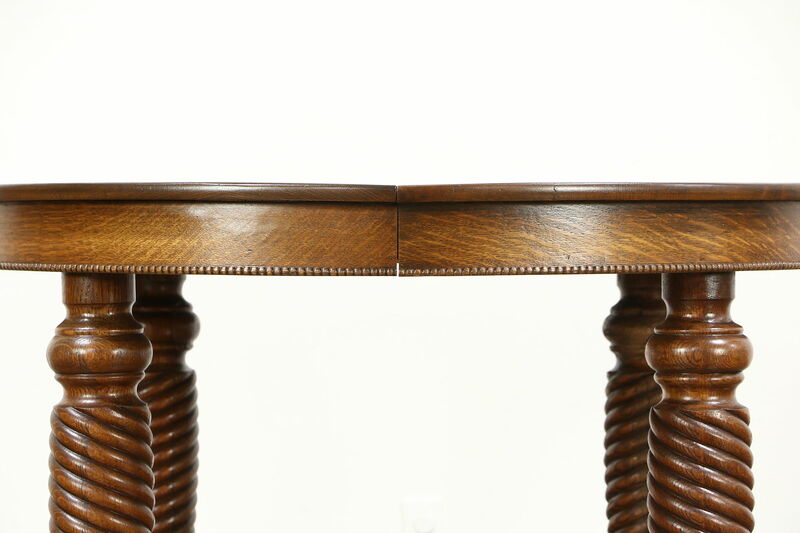 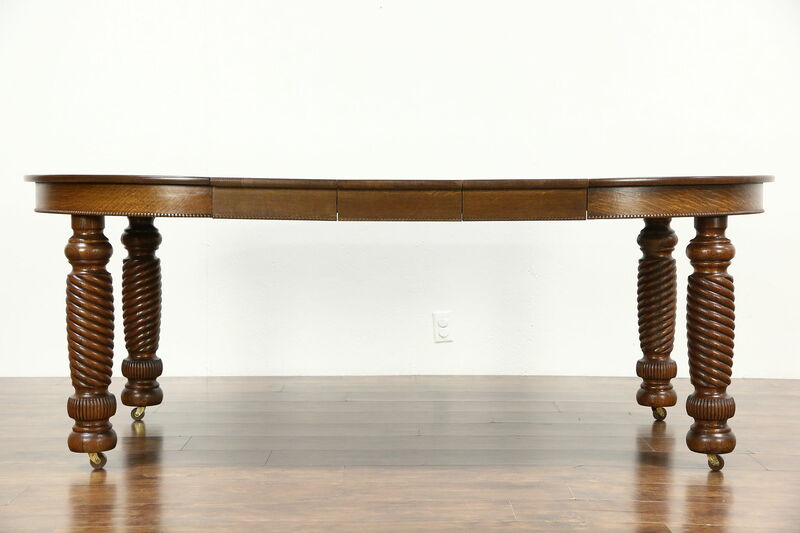 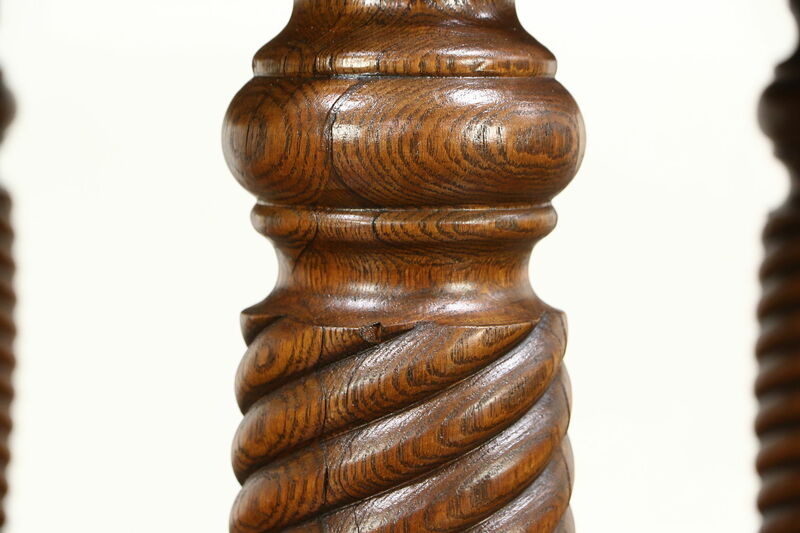 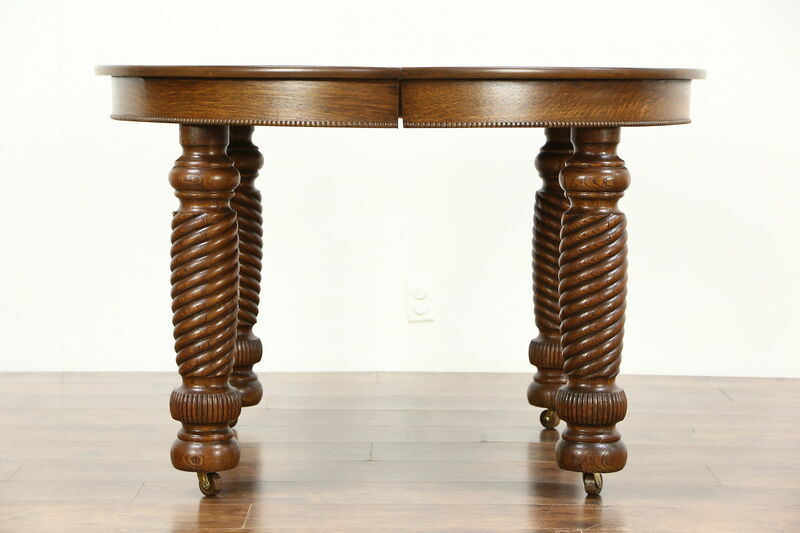 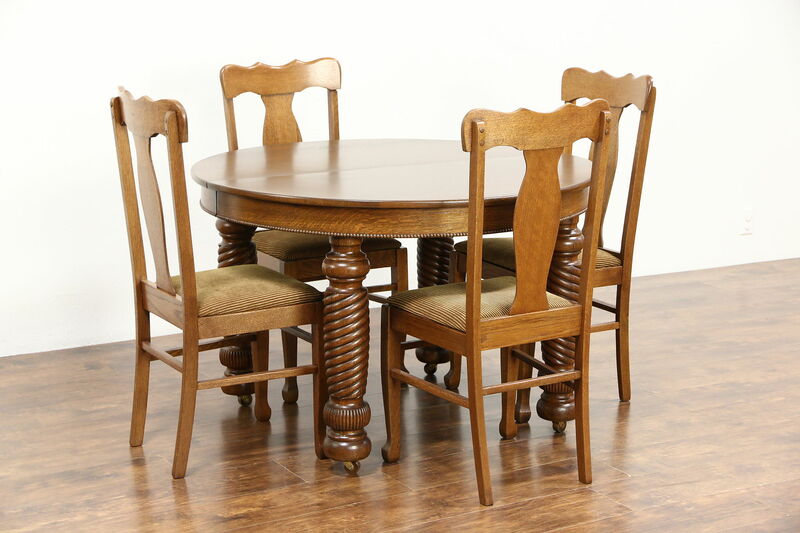 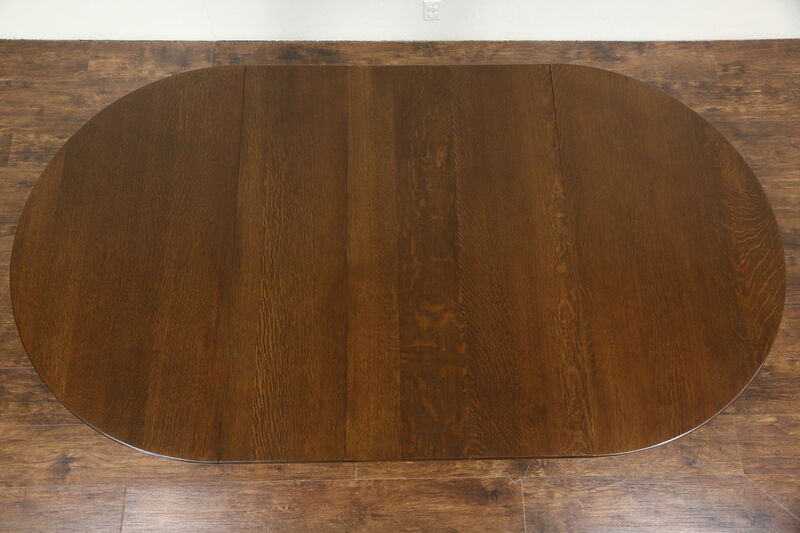 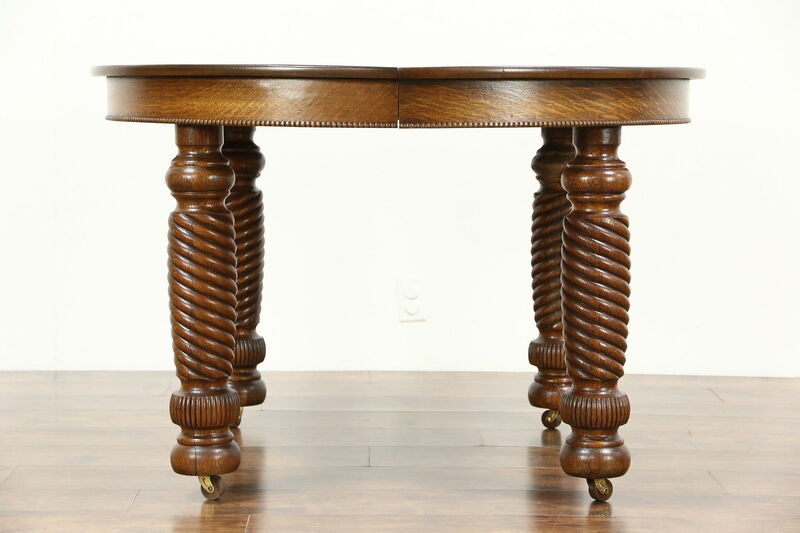 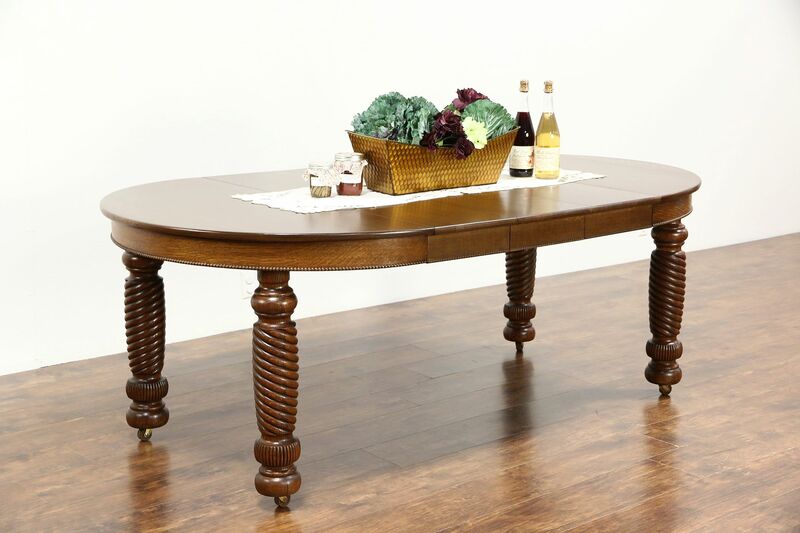 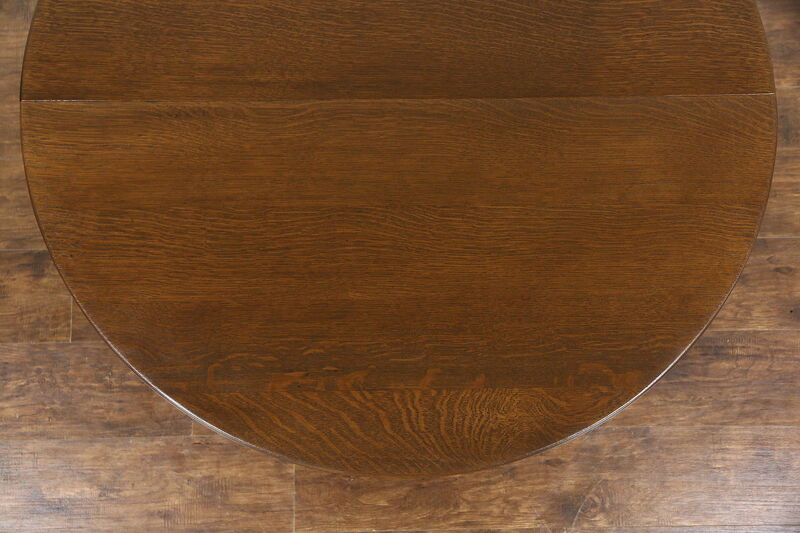 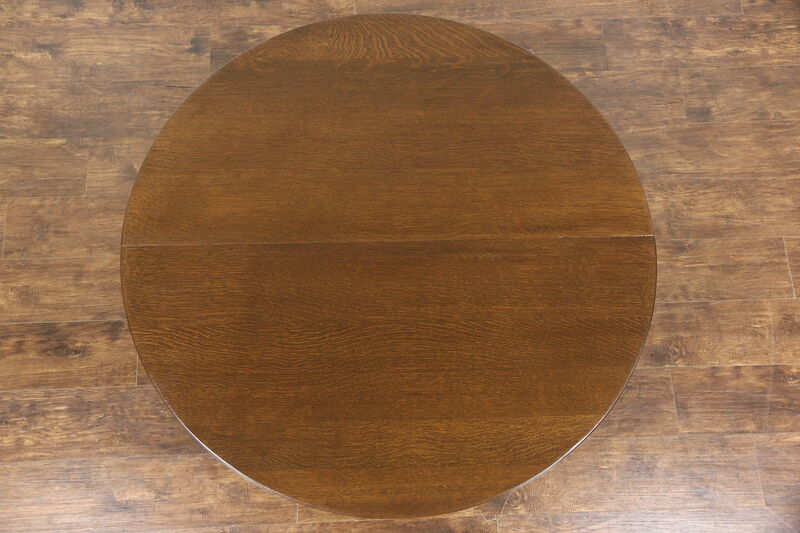 A solid quarter sawn oak round dining table has three leaves with matching skirts or aprons and spiral columns legs, and dates from about 1900. 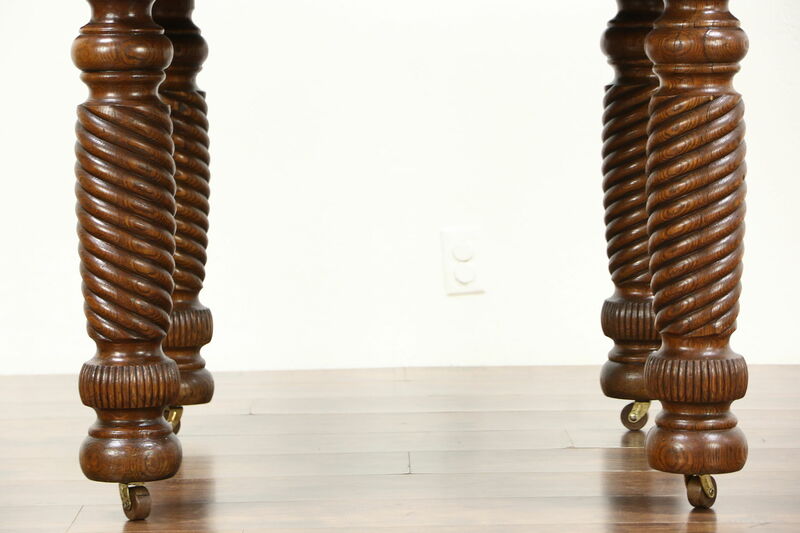 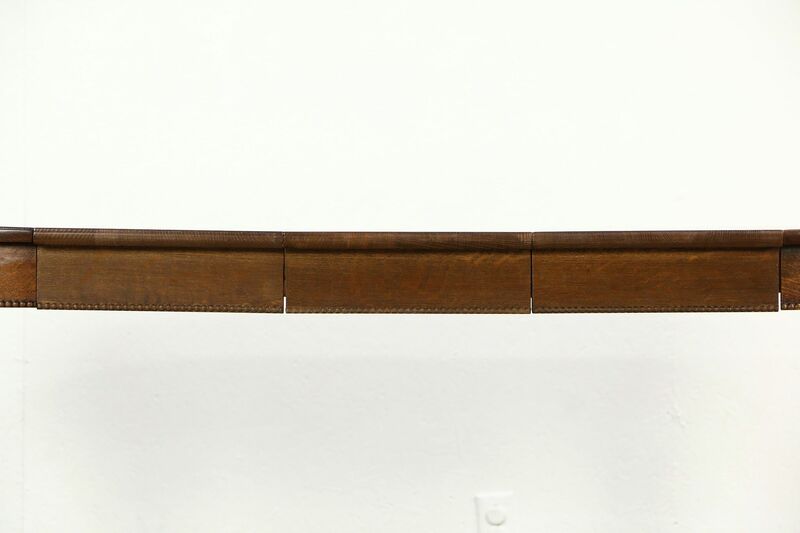 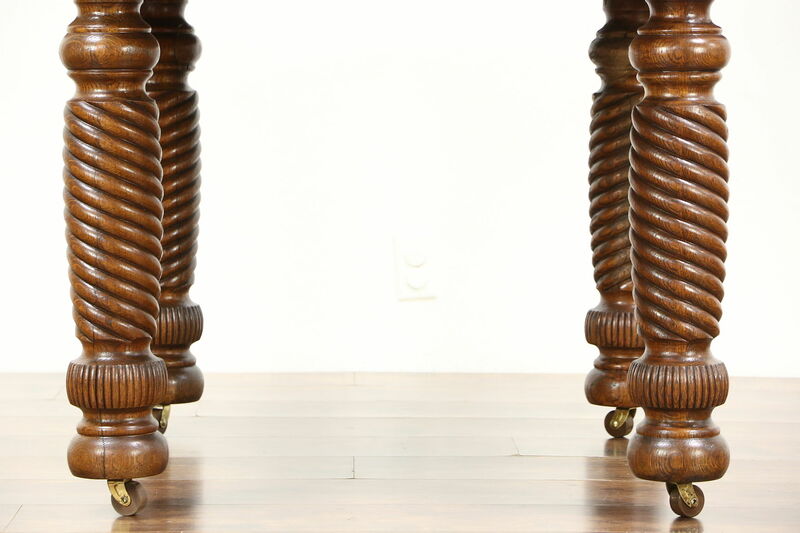 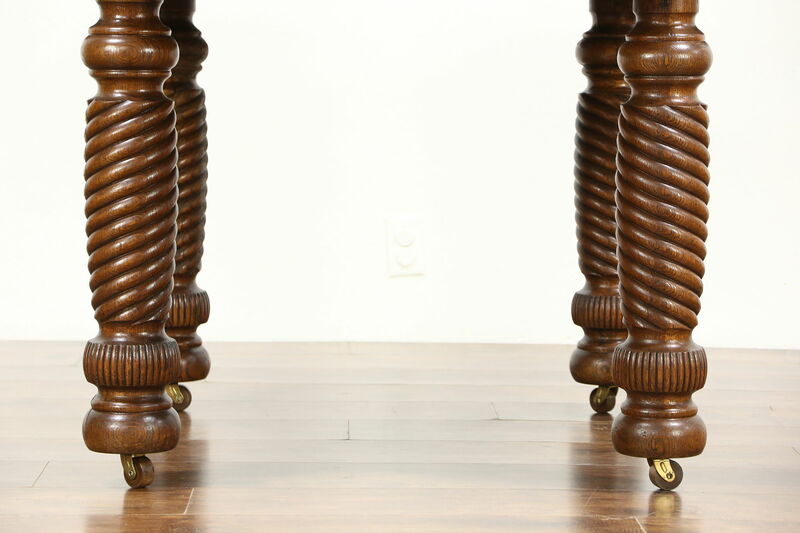 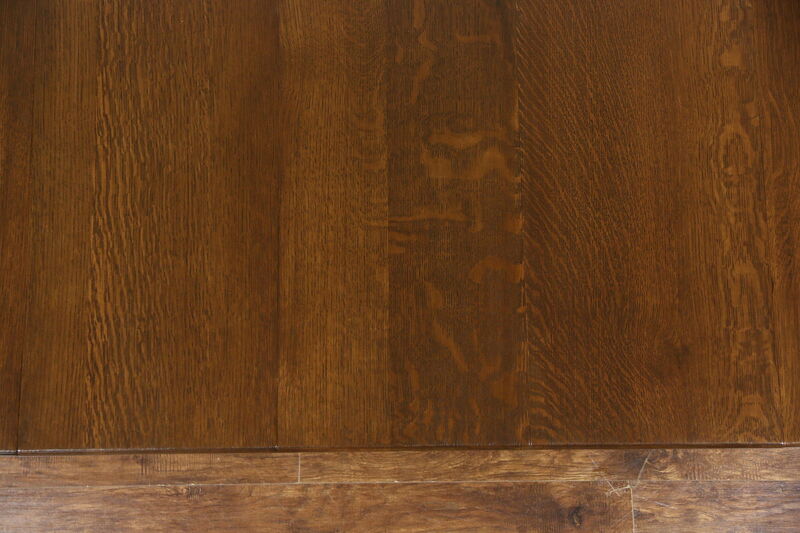 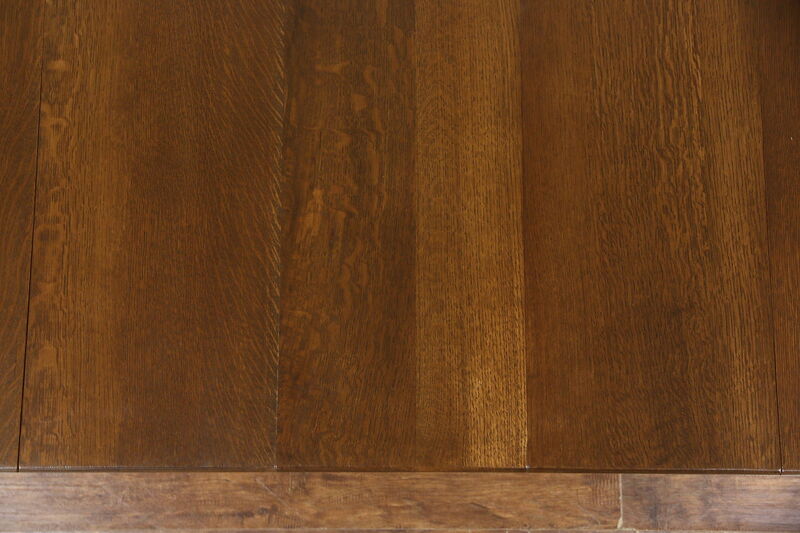 The restored deep finish is in excellent condition preserving some shrinkage separations and losses to the legs, see photos on this American made antique furniture. 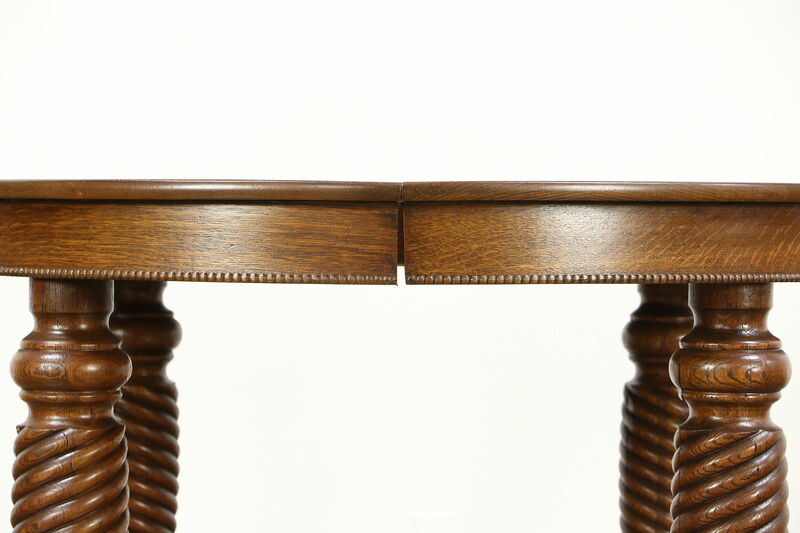 Leaves fit well and this table opens and closes smoothly. 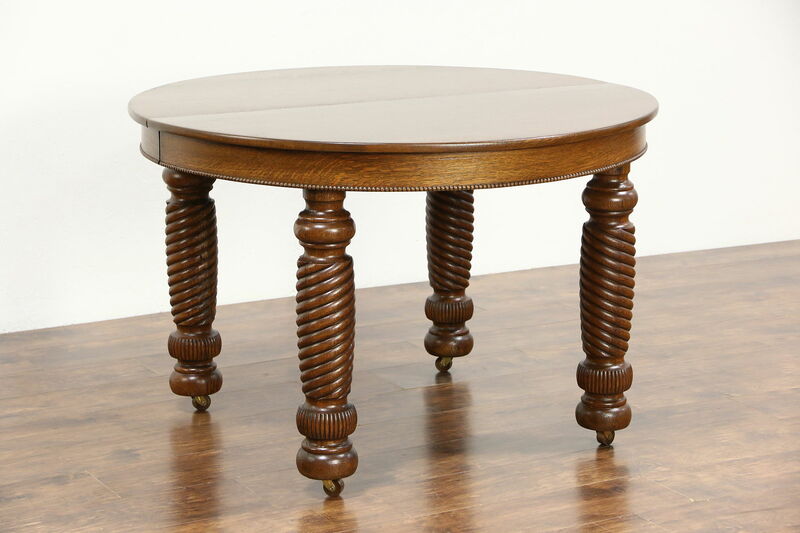 Size is 45" round when closed and 30" tall with 26" of knee room. 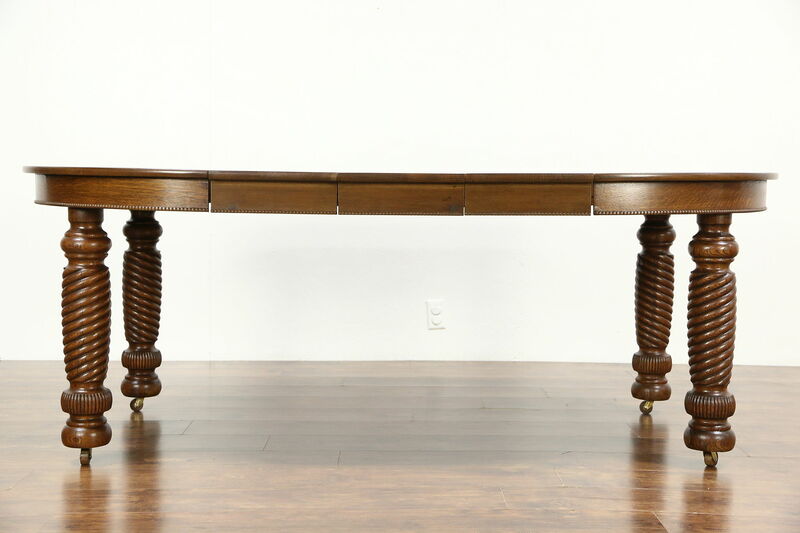 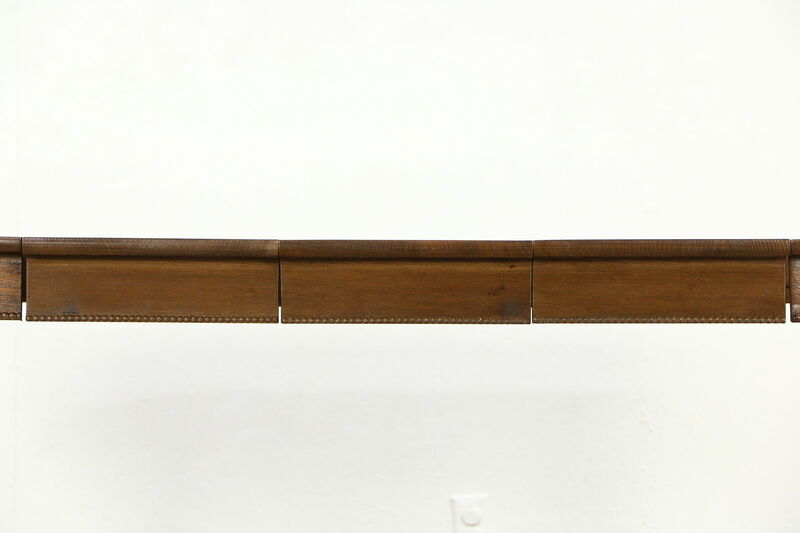 When all three almost 12" leaves are inserted the table extends to 80" long.